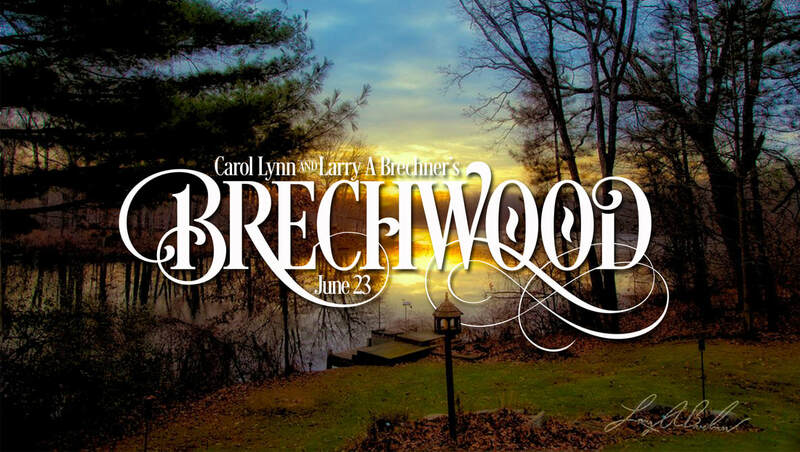 Carol Lynn and Larry Brechner have offered their home for this years Illiana Artists Annual Plein Air Picnic. Members can bring a guest. Carol Lynn Brechner has the food sign-up list. Contact her if you are planning on bringing a side dish or dessert. Tim and Kathy.....will be arriving later than 1:00. LOL. – will bring whatever we need. Burger and Wieners will be supplied by Illiana Artists. From EB I-94 exit 26A (Chesterton) onto SB SR 49 to the first light at Indian Boundary Road and prepare for a right turn. From SR49 turn right on Indian Boundary Road. Proceed WB on Indian Boundary Road thru the light (prepare to make a left turn) after the traffic light about ¼ mile, then turn left onto the private road at the large PARKDALE CENTER sign (N 41º 37.00’ E 87º 02.78’). 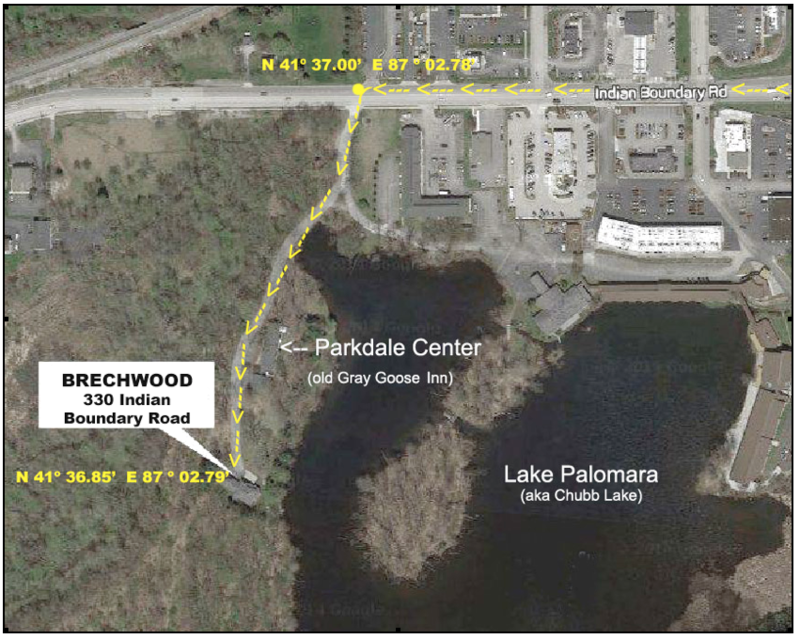 Proceed on the road towards the Center (along the west side of the lake) keeping to the right as you pass the Center and continue to Brechwood. Option#2 continue on Tollway I-80/90 to exit 31 (Chesterton) and prepare for a left turn onto NB SR49. (Best Western on the left). Follow directions above from SR 49 to WB Indian Boundary Road to Brechwood. We had Critique Night at our last meeting, and many brought their artwork and enjoyed the conversation. We reviewed our fellow members work while filling our tummies with a delicious SUNDAE MONDAY ice cream social. Last month's challenge was water. Members brought a wide variety of work including photography, watercolors, oils, pastels and collage art with a water theme. To wrap up the meeting Kathy Los-Rathburn shared her favorite plein air supplies. The only thing Kathy was missing was a fly swatter. May's door prize was a watercolor course from Dale and Marilee Popovich's online art school, Toweringwindsacademyoffinearts.teachable.com. 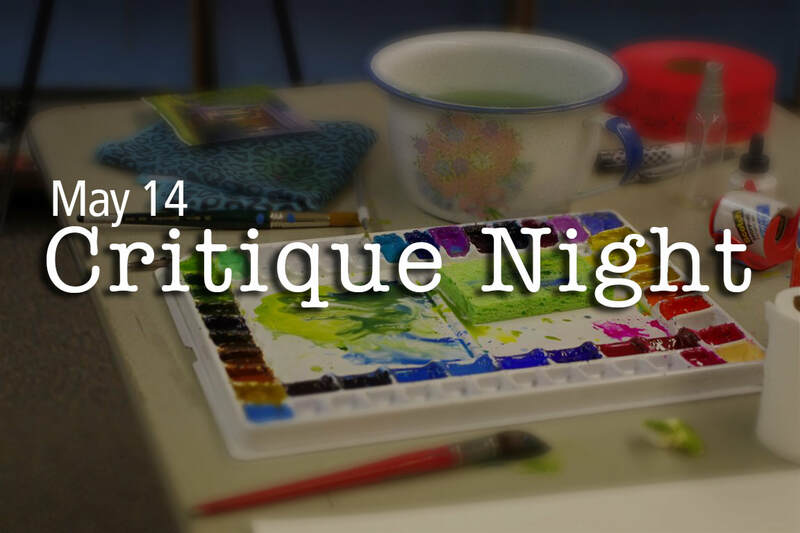 We are having Critique Night this month so bring in your artwork and enjoy the conversation. Limit two pieces framed or unframed. 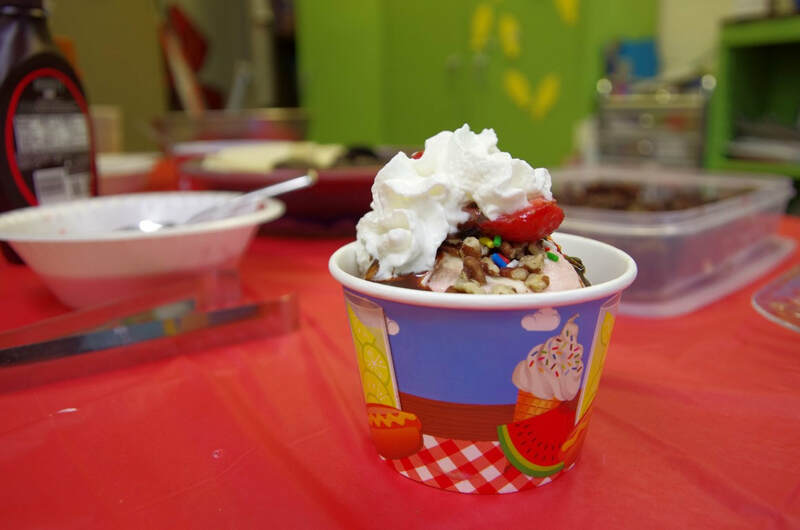 While we are reviewing our fellow members work we will be indulging in lliana Artists SUNDAE MONDAY ice cream social. This month's challenge is water. Yes, bring in a piece of art with a water theme...anything water and if you do there is a surprise waiting for you. And this months door prize is a watercolor course from Dale and Marilee Popovich's online art school, Toweringwindsacademyoffinearts.teachable.com. Kathy Los-Rathburn walked the group through her thought process – from a photo she took, value study, brushes, paper, and paint. She shared her classical trained skills to the group taking a little over an hour to complete her watercolor. Kathy's love for art and watercolor, in particular, started when she was quite young. It has now become one of her passions. She loves the challenges of the medium and the happy accidents that can become surprises. Nature scenes are her favorite to paint, especially the dunes and how they are continually changing. When looking at a simple leaf or twig, there is so much beauty and it often goes unnoticed. She believes in experiencing what she paints so I take my own photo references. Before beginning every painting, Kathy does value sketches to plan my composition, to work with the contrasting values and colors and to play with negative spaces. It is through her paintings that she hopes to give to you all the beauty that is around us. All this beauty is ours for the taking … if only we’d open our eyes. To admire nature is to worship God! At the end of the evening Joel Janowski won the raffle for Kathy's painting.